Cameroon, Democratic Republic of Congo, Tanzania. 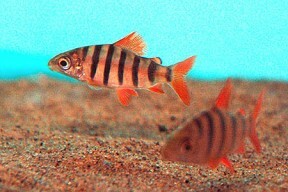 It is present in Lake Tanganyika. 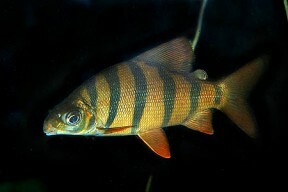 A predominantly benthic species inhabiting lakes and rivers. 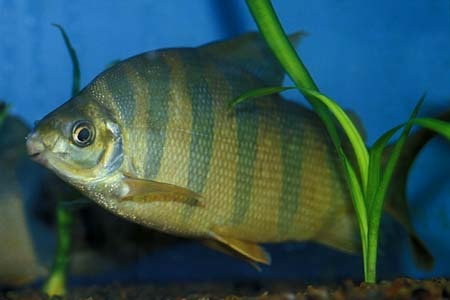 30″ (75cm), though rarely attains more than 16″ (40cm) in aquaria. A tank of 60″ x 24″ x 24″ (150cm x 60cm x 60cm) – 540 litres should be considered a bare minimum to house one of these. A much larger tank would be needed to house it as part of a community or species group. Not a good choice for the planted setup, as it will munch most greenery. Furnish the tank with smooth rocks and driftwood branches instead. Sand or gravel can be used as substrate. If you want to try some plants, use species such as Anubias or Bolbitis, as most fish leave these alone. A little water flow is appreciated. It’s an excellent jumper, so the tank must have a tightly-fitting, heavy cover. Omnivorous and will accept most foods offered. It should be fed a decent proportion of vegetable matter to keep it in the best of health. A diet of live and frozen foods such as earthworms, prawn and mussel, along with frozen peas (remove the shells), Spirulina flake and blanched spinach would provide the desired balance. Somewhat unpredictable. While some specimens remain peaceful with similarly-sized species, others can become very spiteful as they mature. Certainly don’t attempt to keep one of these with much smaller or shy species. Tankmates in a big tank could include bichirs, large characins, cyprinids, catfish and Loricariids. 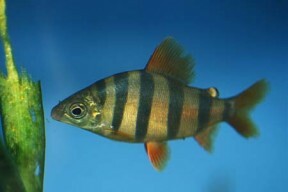 This is the most common of the few Distichodus species regularly seen in the hobby, and sadly, it is often sold as being suitable for the general community tank. This is clearly not the case in terms of both its temperament and potential size. Do not buy one unless you have the facilities to house it for life. It is usually seen for sale at a couple of inches long, and at this size is a very attractive orange and black striped fish with bright red finnage. Unfortunately, much of this colour and patterning fades as it grows. It is depressing to think where most specimens end up, as adults are rarely seen on sale.